How to beat google through an online Tribe Syndication community! The latest update to Googles indexing alogorithim, otherwise known as the ‘Caffeine Update’ has now made ‘activity’ more important than ever before. Here is a snippet from Google ‘s official announcement: “Caffeine provides 50 percent fresher results for web searches than our last index, and it’s the largest collection of web content we’ve offered. Whether it’s a news story, a blog or a forum post, you can now find links to relevant content much sooner after it is published than was possible ever before”. So essentially, including ‘fresher results’ now means that Google is indexing social activity such as Twitter, Facebook, comments etc at lightening speed. Over the last few months I’ve watched top affiliate marketers make it to the first page of Google (and even hit # 1) for their keyword in under a week. Guess what their secret has been? An intricate combination of activity! Generating link activity to their site by commenting on other high PR sites, waiting for the comment to be approved and then ‘pinging’ the search engines to let them know there’s been ‘activity’ on the site through services such as http://pingoat.net . Writing 10 ‘keyword’ specific articles and submitting them to a powerful combination of social networking sites, article sites and social bookmarking sites. Followed by pinging the newly created URL’s and then creating rss feeds. Submitting the feeds to the top feed aggregators. (This was all done in a specific, well planned order). If all this pinging and submitting sounds confusing, don’t worry it was for me too! The above strategy seemed quite complex at first until finally the penny dropped. It all boiled down to ‘activity’! Of course these guys were expert affiliate marketers and so they had their sites correctly optimized for their keywords but… A significant part of their first page results came from a calculated amount of pinging, comments etc that all led to letting Google know their site was alive and kicking! Whilst relevant quality backlinks still remain an important factor, ‘freshness’ of content has never been more important. And guess what counts as fresh content on your blog… If you guessed comments, you’re correct. If you don’t have a high traffic site that ‘organically’ creates lots of activity, RSS subscribers, pings etc, the way to get the big Google bot’s attention is to join an online tribe community that creates the activity for you. Imagine how much more powerful the above strategies could have been for these guys if they had a tribe submitting their content to 43 social bookmarking sites using powerful tools like Onlywire. So how can a tribe leverage from Google’s Caffeine Update? If you have any thoughts to add on the recent changes to Google’s indexing algorithm, I’d love to hear from you in the comments section below. I’d also love to hear what kind of advanced strategies you’re using within your tribe. This is EXCELLENT content Micheale. Thank you so much for sharing it! I will be looking at how to implement this very soon. Thank you again! Glad to hear you got something out of the post. If you want any help with setting up the right syndication tools for your tribe, just connect with me on skype. Holly Smokes! This is awesome. I’ve heard talk of it, but you have put it together so simply and gave me the courage to do this. Others have passed the word on, but I was too confused to read the second sentence. Great Job! Thanks so much, I am blessed to know you. If I’m explaining it in a way that sounds simple, I’ve done my job then. I think we have lots of powerful stuff in development at the moment. I’m excited! This is an awesome article! It goes without saying that I am already looking at pingoat! All the pinging and submitting did sound confusing but when you break it down and relate it straight back to our “Tribes and Syndicating” it all made perfect sense. Im not the savviest SEO/Google person but this I totally get! I’m not the savviest seo person either and even I got it. Our tribes have now become more powerful than ever. I’d go as far as to say if you care about rankings, you absolutely can’t do without one. Oh and thanks for giving me the nudge I needed to get this post done! After reading your response to my post about Google, I had to head right over here to your blog and read what you have written about Google “caffeine” and the speed at which things are happening these days for bloggers and online marketers based on “fresh” activity. What you have written here does indeed seem like a lot at the outset, but one thing I have learned from my time online is that there is definitely a systematic way to get ranked if you know what to do, and are up to speed with the latest changes (that seem to happen oh so often). I am impressed with the depth of your knowledge related to this topic. I have so much to learn, and you outline complicated information so well. This is not the sort of topic most people tackle every day, and I am grateful that you have gone into detail about how to ping posts, articles, Squidoo lenses, and the like. Yet another tool to learn how to use effectively! Taking our Tribes to the next level is a logical extension of the things Google has set in motion with its algorithms. When like-minded people band together to help each other grow and prosper, so much more is accomplished for everyone! Great minds think alike hey! Incredible that we were both thinking of the same topic at the same time! I have lots to learn in the seo arena too but it’s amazing how simple some of it becomes once you break it down. (I like to spy on people until I can work out what they’re doing and then pull all the bits and pieces apart lol). As you mentioned, getting ranked definitely requires a systematic approach and thats where online tribes play a huge role in completing the final tweaks. I can’t wait to see the impact ‘specialized’ marketing tribes will have. Thank you so much for that great article Michaele. I have just been getting my head around SEO optimising my posts and article marketing, so this information is very timely for me. Things are moving so fast, it’s not always easy to keep up with Google’s latest, so thank you for sharing this valuable information. Social sharing and interaction. I’m certainly not an SEO expert but it seems clear to me that Google is wanting more and more to provide the freshest content. Which of course comes from the Social Networking sites! And this is where I’ve seen the strategic pinging etc play a role when the experts get first page results in a matter of days. Have to agree with Michael. It is great content. However, I probably fall more closely in line with Donna’s category. . .this is a bit over my head (but not for long, because I have a great tribe LOL!). Mary Lou hit the nail on the head (as did you). Everything can (and should) be broken down into systems that speed up and improve the process of bot (teling) up Google. Nat, I’m right behind you, googling “pinging,” “high PR sites,” and “Feed Aggregators” so I can get a handle on this before next week. Looking forward to our syndication next Tuesday and to continuing this conversation further. I totally relate to the ‘it’s a bit over my head’ part, as I had always just thought I would pay someone to optimize content for me when I needed it. The coolest thing is, I’ve found software that literally tells you what to do for some areas and other software that helps you check out the competition. Oh and re searching for high PR sites, I’ve got format for google that makes it super easy that I can share with you. I enjoyed the post today. I agree it is all about writing good content, but you also need to make sure your content has activity. A tribe is a super way to get activity on your content… then add in all the other things like rss feeds, pinging, etc. and you have a recipe for traffic and success. I don’t know what’s going on with Akismet but I just found you in my trash bin. Oops! We have an amazing tribe and I’m just about to take it to the next level with the rss and pinging side. Are you in? I hear what you’re saying, yet am not quite sure how to implement all the tactics. I do hope you are willing to share your tips more in our Tribe. I would thoroughly enjoy a webinar on this! I’m absolutely more than happy to share everything I’m learning. That’s where the value is in our Tribe as we all get to pick each others brains! Nice to see an SEO article that follows what I have been teaching my students. Although some of these principles some may say haven’t been tested “such as social interaction” remember that interaction creates fresh content. “And the search engines just love new updated content” If they are coming back to find this fresh content then you are on your way, because an often returning google bot or search engine spider is EXACTLY what you want! Nice to hear from someone that has way more knowledge on SEO than I do! I agree that an often returning search engine spider is what everyone wants (including me), but many people haven’t yet cottoned on to the fact that comments etc create the fresh content that Google wants to see. Anyone who is a part of a syndication community right now should be totally excited. Not if you are already blogging and Tribin it up. We are way ahead of the game and it’s so exciting. As you said, having your own Tribe is no longer an option. Thanks for your incredible feedback. We are in luck with google this time for sure. Whilst there will always be factors we don’t know about their algorithm, it’s so great to know that we’re a part of an essential movement going forward. I really think we have only just scratched the surface here, so exciting times ahead! Be careful about Google because there more to them then it seams, big brother is watching. Ha ha, yes they certainly are watching and gathering our data from services they own such as feedburner and the Google tool bar! I’m constantly learning about SEO. to be tribin’ it up with you! 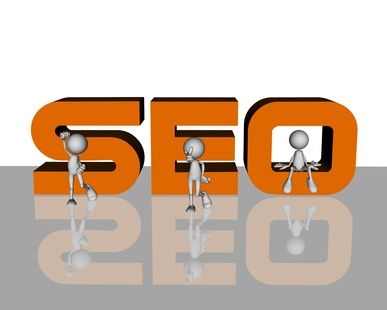 Yes SEO is ever evolving for sure and there are so many factors involved with on page and offline optimization. One thing I’m pretty sure of though, is that the importance of ‘social activity’ is here to stay. It makes perfect sense given that human votes are going to be more trustworthy than many of the blackhat techniques. How awesome is all of this considering the incredible community we have. Bring it on Google! Wow! You super genius! Could we get a ‘content pinging tribe’ goin within our tribe? I wanna do this…Who do I talk to within the tribe to get your ideas up and going? (I bet now you wish you kept your mouth shut!) Would you at least be willing to set something up on a skype call or webinar where we could all listen in and ask questions? I’m going to pingoat right now. I think we can set this up for sure. In fact going forward, I think everyone is going to need to form a specialized tribe just for this purpose. Let’s pool all of our wisdom and talents together and do a brainstorm. WOW, you have been doing your homework! After our short chat yesterday I knew you were up to something but I had no idea it was this. You’ve managed to take what has been a very complex subject for me and break it down into to some simple steps. I know there is a lot more to it but you have cracked open the shell so that we can begin to see how it works. I agree with Val…bring on a webinar! You have so much to share and thank you for sharing your learning with us. Yes I was cooking up something and it’s about to get bigger lol. Just need to attract the RSS expert into our circle to complete the final puzzle! I’m glad my post was able to add a tiny bit of simplicity to an often daunting (if not dry) subject. Let’s work on that webinar once I get a few more pieces under my belt. Thank you for a very interesting and very informative blog post! Wow, my head spins on some of this SEO stuff, however, syndication and activity does make sense to me. Also, when people are talking or commenting, it obviously does mean there is interest which Google is picking up. Thank you so much for this very valuable information. It was only a short while ago that all of the seo stuff was making my head spin too. But guess what, most of my secret weapons are actually tools. Some are free and some are paid but they do all of the amazing work for me! Thanks for a great article. I’m new to blogging but hooked up with a tribe early on and the commenting has not only increased traffic to my site but has given me the encouragement to continue. Those crickets can be deafening when the comment counter is at 0. I absolutely love the idea of a content pinging tribe…count me in if you get one started. Glad to have found your blog (through a post on the Empowered Blog Page on Facebook). Glad to hear you hooked up with a tribe early in the piece as it can be so disheartening in the beginning if you don’t have cheerleaders for your blog. And yes the crickets sure are deafening as that was my blog in the early days! I’m working on ideas to get the content pinging tribe going so lets stay in touch. MichaelÃ©, it’s taken me a while to stop and take the time to read this post. Thanks for investing the time (quite a bit I expect) to expose the many parts of the puzzle in a concise and easy to understand way. Having said that, a Skype chat on the subject would be great to make sure that I am ‘getting it’ completely. Yes I did loads and loads of research before I wrote the post. It kinda never ends really! Happy to share what I know on skype anytime. Great and value packed post. Just found you through a video of yours on Oliver Tausend’s blog, and love what you’re putting out here on your blog. I’ve learned some basic SEO but strategic pinging and submissions still feels like ‘the deep end’ – I’d love to get it worked out properly and your post has brought me a step closer. I really appreciate your feedback and I’m glad you enjoyed the post. 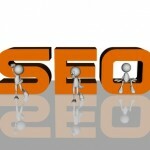 SEO used to be something I was so resistant to learning, as it all just seemed over my head! But it’s amazing how over time all the bits and pieces start coming together. I still have a long way to go though. Loved the post you did on SEOpressor. What an amazing tool hey! P.S. I have a video on Oliver’s blog? Great article and video. I came across this post because of research I was doing on tribe syndication. You are right, search engines love it when a site gets lots of comments. Really an informative article. For me, publishing original and valuable content on regular basis has always been great trick to let search engines index your site faster and better. Let’s do what they want and they will love your site!! You are absolutely on the mark with valuable content! Couple that with the fact that valuable content creates Social Media interaction and your on a winner! Thanks for contributing to the community here. There is an well said term for Seo do anything to grow rating. The fast indexing of pages is really essential. Your tip of http://pingoat.net is very good and it helps for our site details every time. In the online arena we all want fast indexing of pages that’s for sure. Pingoat, as well as tribe syndication is an awesome way to speed up the process.